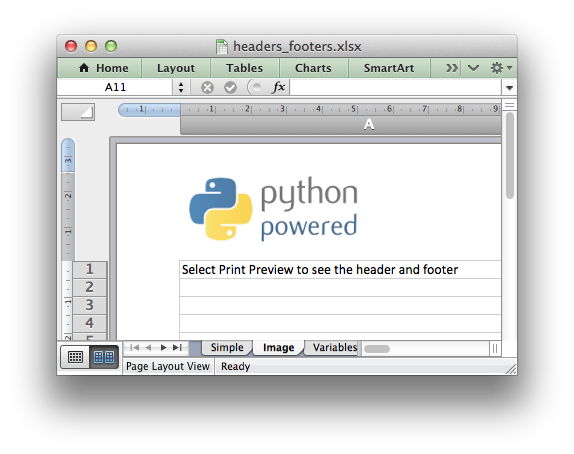 This program is an example of adding headers and footers to worksheets. See the set_header() and set_footer() methods for more details. # See the main XlsxWriter documentation for more information. # Insert a header image. # Adjust the page top margin to allow space for the header image. # This is an example of some of the header/footer variables. header5 = "&CHeading 1\nHeading 2"